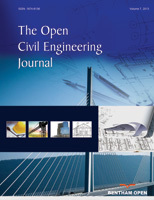 This contribution presents a comparison of three methods of the statistical computation of the design load-carrying capacity of a steel plane frame. Two approaches of the European Standard Eurocode 3 and one stochastic approach are applied. The stochastic approach takes into account the random influence of all imperfections and can be applied to the reliability verification of design according to Eurocode 3. The columns and beams in the steel frame are modelled with beam elements using the stability solution with buckling length and the geometrically nonlinear solution. The stochastic computational model is based on the geometrically nonlinear solution and on the random influence of initial imperfections, whose random samplings are simulated using the Monte Carlo method. The design load-carrying capacity of the steel plane frame computed using the stability solution with buckling length is in good agreement with the stochastic solution in which the design value is calculated as 0.1 percentile. On the contrary, the geometrically nonlinear solution according to Eurocode 3 gives the lowest (safest) values of design load-carrying capacity. Keywords: Steel, Frame, Imperfections, Buckling, Sampling, Random, Reliability.